Develop sales processes that satisfy consumer needs. Refine a merchandise delivery process that satisfies consumer needs. Create consumer touch points that wow customers. Develop products that people really need, are easy to understand, easy to sell, and incur a low service cost after the sale. Ask your customers what they really want; develop real benefits to satisfy their needs. Satisfy your customer’s emotional needs at the time of purchase and delivery. Offer products or services that need to be continually purchased, generating a renewable revenue stream. Develop products and services that can be used for cross-selling and up-selling to generate additional revenue. Develop a direct marketing program that is aimed at a narrow target market of prospects who need your products. 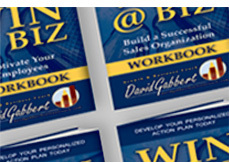 Develop superior, effective sales systems to develop new customers. Develop multiple methods of procurement, giving your customers the purchasing options they want. Create a high perception of value to validate generous gross profit margins in your pricing. Develop expenses as variable costs that are tied directly to revenue, minimizing fixed operating expenses. Start small to minimize risk to capital investments. Gain as much knowledge as possible by talking to experienced business owners, professional consultants, and business leaders inside your industry.